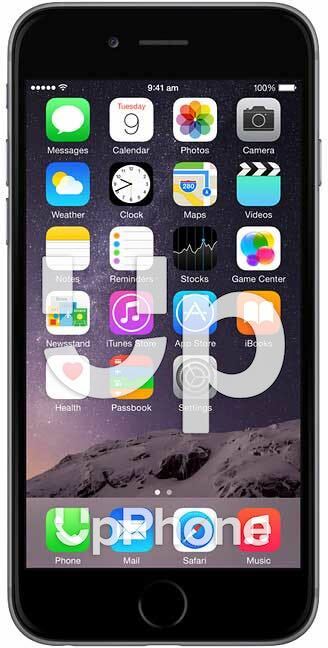 iPhone 6 Price, Review, Deals, Cost, & Sales! Home / Compare Cell Phones / iPhone 6 Price, Review, Deals, Cost, & Sales! The iPhone 6 was a huge upgrade from the iPhone 5c and 5s. Not only does the iPhone 6 have a larger display than previous iPhones, but it also has a better battery, processor, and graphics processing unit! The iPhone 6 has a 4.7” LED display, which is 0.7” larger than the display of the iPhone 5c and 5s. The iPhone 6 and 6 Plus were also the first iPhones to have a Retina HD display. iPhone 6 users can enjoy great display functionality features like Reachability and Display Zoom. The iPhone 6 has an 8 megapixel camera with new and improved autofocus due to Focus Pixels technology. This camera is also capable of recording 1080p HD video at 30 or 60 frames per second and slo-mo video at 120 or 240 frames per second. There are 4 different iPhone 6 storage capacities to choose from: 16 GB, 32 GB, 64 GB, and 128 GB. The iPhone 6 and 6 Plus were the first models of the iPhone to receive an 128 GB version, which was, at its time, the largest storage capacity an iPhone has ever had. With so many options, it’ll be easy to choose the perfect iPhone for you! The location of the iPhone 6 speaker makes it great for speakerphone calling or enjoying your favorite songs without headphones. The speaker is located on the bottom side of the iPhone directly to the right of the Lightning (charging) port. You can conveniently unlock your iPhone 6 using the built-in fingerprint scanner inside the Home button. This feature is known as Touch ID, which can save copies of your fingerprints so you, and only you, are able to unlock your iPhone without using a numeric passcode. The iPhone 6 is built with the A8 chip, which has a more powerful processor and GPU (graphics processing unit) than its predecessor, the A7 chip. The A8 chip’s processor is designed to 25% more powerful than that of the A7, and the A8’s GPU is designed to be 50% more powerful than the A7’s. The iPhone 6 has an incredibly long-lasting battery life. Its battery is designed to last for up 11 hours of internet use on Wi-Fi, 11 hours of HD video playback, 14 hours of talk-time of a 3G network, or up to 50 hours of audio playback.